In what will be a relief for many landlords and agents, the deadline for submitting additional and selective licence applications in Hackney has been extended until 28 February 2019. 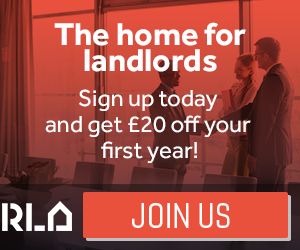 The deadline for applications was originally set for today (2 December 2018), with enforcement action due to start on Monday 3 December for landlords and agents who had not yet applied. The council have extended the deadline due to the large number of applications and enquiries received from landlords and they want to give all applicants enough time to submit their applications and have any queries responded to. On 1 October 2018, Hackney Council introduced a borough-wide additional licensing scheme plus a selective licensing scheme covering part of the borough, with both schemes set to last for five years. The new property licensing powers mean that landlords of all private rented homes in Brownswood, Cazenove and Stoke Newington wards will need to hold a licence committing them to keeping properties safe and treating tenants fairly. And landlords of the estimated 4,000 Houses in Multiple Occupation (HMOs) in Hackney – properties with two or more households and shared facilities such as kitchens, bathrooms and toilets – will also need a licence requiring them to meet acceptable standards. In total, the council estimate that around 9,000 properties will need to be licensed. Those who don’t apply for a licence or fail to comply with licence conditions can face fixed penalties of up to £30,000 per offence, or a criminal prosecution with the risk of an unlimited fine. Whilst Hackney Council intend to delay enforcement action until 1 March 2019, there remain other sanctions for landlords operating a licensable but unlicensed property. If a licence application has not yet been submitted, the tenants could apply for a Rent Repayment Order to try and claim back all the rent they have paid since 1 October 2018. In the meantime, a section 21 notice of seeking possession cannot be served on tenants living in a licensable but unlicensed property. Full details on the new property licensing measures, including which landlords need a licence and the licensing conditions, are available at www.hackney.gov.uk/property-licensing. A free guide to property licensing schemes is also available on the London Property Licensing website here.